In collaboration with 56 HENRY, Bortolami is pleased to present More Comparisons, a solo exhibition by Al Freeman and follow-up to her 2017 book, Comparisons. Comprising a set of fifty-one unique collages, the show will be on view from April 27 through June 2, 2018. Each collage compares two images. 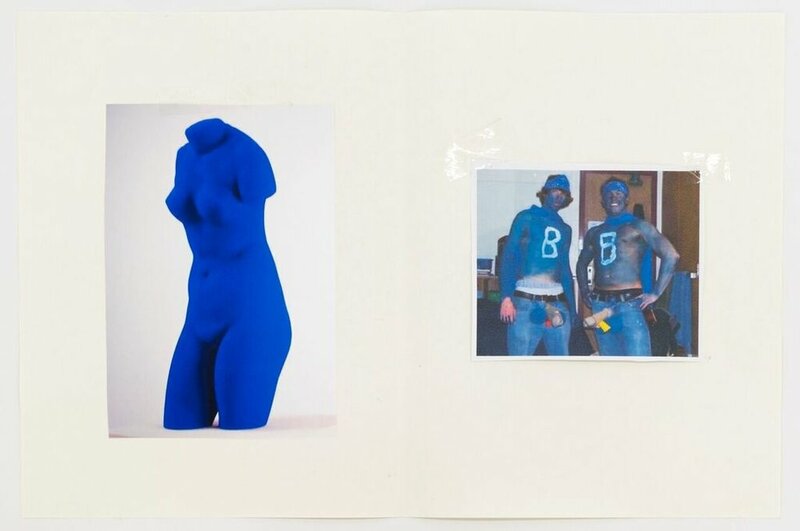 One image depicts a familiar work of art, such as a painting by Ed Ruscha, a sculpture by Sol Lewitt, or documentation of a performance by Carolee Schneemann. Its companion image is taken from a non-art source, often from message boards and internet backwaters where people post photos of drunk friends subjected to gags and pranks. The works function on a visual logic in which the two images relate to one another compositionally, conceptually, or metaphorically. The Comparisons exploit their subject matter to humorous effect, establishing a connection between high and low reference points. Al Freeman (b. 1981, Toronto) lives and works in New York. She received her B.F.A. from Concordia in 2005, and her M.F.A. from the Yale University School of Art in 2010. Her work has been featured in numerous group presentations both stateside and abroad, including recent exhibitions at Reyes Projects, Detroit; Galeria Alegria, Madrid; Andrew Rafacz, Chicago; Venus Over Los Angeles, Los Angeles; Harper’s Books, East Hampton; and CANADA, New York. In 2017, Freeman published Comparisons with Flat Fix Press, Brooklyn. More Comparisons is Freeman’s first exhibition with Bortolami. Al Freeman is represented by 56 HENRY, New York.